Luxury is having the money and time to purchase exclusive cars that not everyone can afford. In 2018 a luxurious experience is driving the new Bentley GT Continental Grand Tourer. I have driven many Bentley’s over the years but the new Bentley GT Continental, both in appearance as well as the driving performance, is nothing to what I have driven before. Bentley has always produced cars that have great driving experiences. 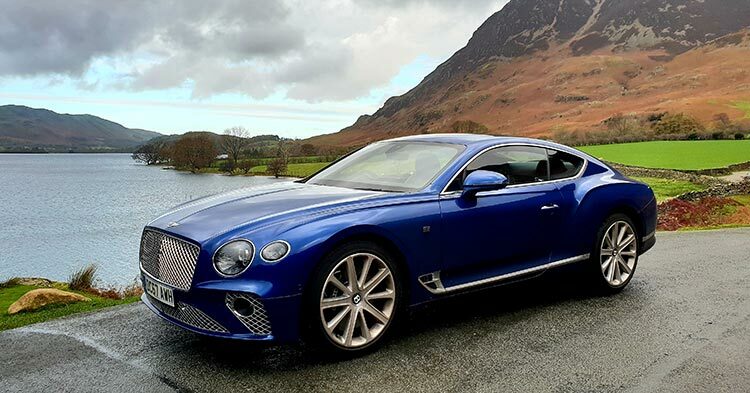 On this occasion, Bentley has been very brave in redefining the new GT Continental. It’s an ultimate test of courage to create a car that looks sporty, elegantly aggressive, and not compromising on space or comfort. For me I was keen to experience how, Bentley has embraced the latest and of highest driving technology. Driving a Bentley, is all about my personal status. When it comes to the top league, for me it has to be the best. 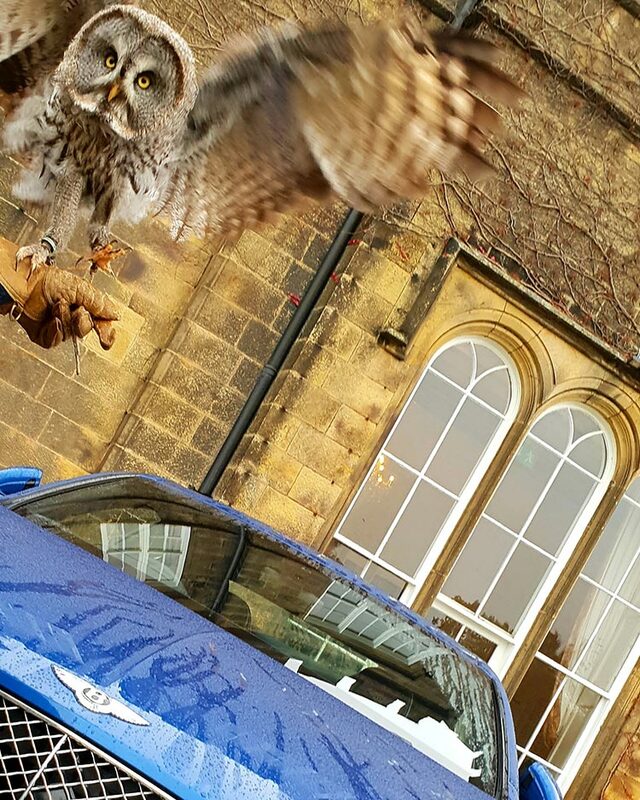 When I am in Britain I love driving Bentley’s, as it’s true to it’s heritage and nature, it’s simply posh. Like so many other people, looking at it this week, the public’s reaction was a common one. Few could disagree, that the new Bentley GT Continental Grand Tourer, was a rare new thoroughbred, captivating and attracting a diverse audience. Brand is the first thing, I look for when I am buying a luxury car. As a Bentley driver I have an idea of what I want when I come into the factory at Crewe. The other important question is whether I’m going to drive or be driven. If I’m going to be driven I look for comfort and space of rear seats. The new Bentley GT Continental Grand Tourer is so well designed in space, I had the option to test both. My guests loved sitting in the front or the back and both were equally as comfortable. In my Bentley, I always want the the highest specifications. So the additional, £49,000 of extras was welcoming. Sitting in the rear seat, like that of every Bentley, the shape of the fascia is inspired by the wings of the Bentley badge. 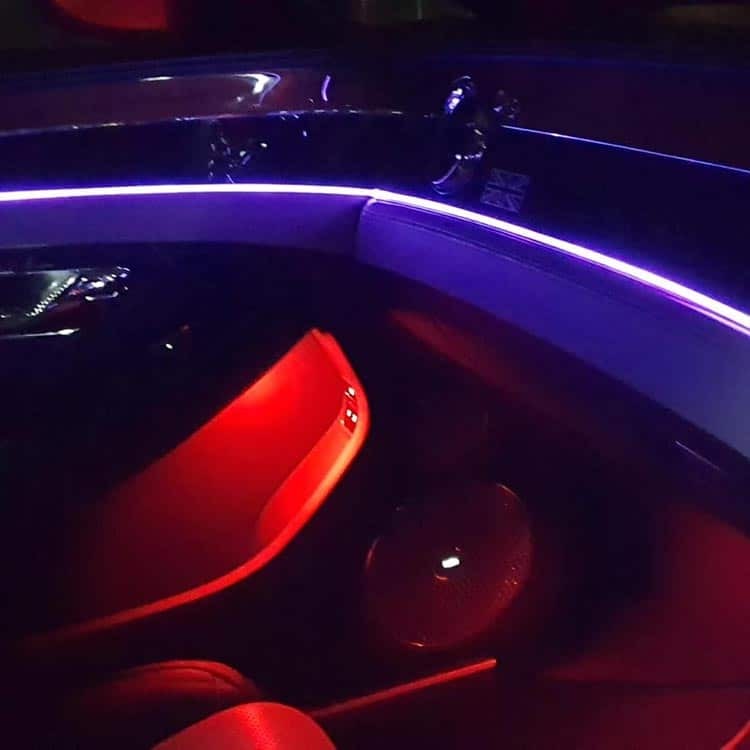 It sweeps up from an elegant centre console and reaches out towards the doors, where the surface continues, surrounding the occupants in a seemingly unending ring of handcrafted leather and wood. The New Bentley GT Continental title is, The Grand Tourer. I was able to drive long distances in purest of lifestyle and the very best of driving comfort in the world. It became very apparent that it was important I drove in creating the finest lifestyle locations. Whether it be from contemporary fits, to the chicest of settings. I, like the new Bentley GT, wanted to redefine where it belonged or could go? This Bentley GT Continental Grand Tourer, for the first time is an Active All-Wheel drive. 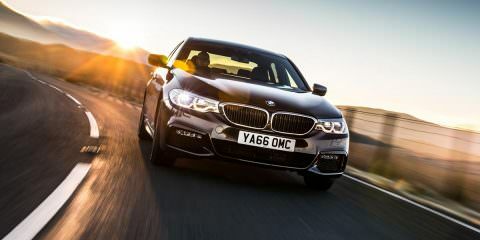 A new range of systems operate throughout the car to ensure you can drive it with confidence, at all times. I certainly was very confident no matter what the roads were or weather conditions. This for me compared to the rest of the Bentley’s, was a real game changer, which I loved. Regarding Custom Mode, well I need to have it for a lot longer to define my driving mode? I am a woman who when owning a luxury car, I want to use it all day, everyday. By creating my very own bespoke UK Grand Tour I could test the ins and outs of this £220,000 luxury car. I am a woman who when owning a luxury car, I want to use it all day everyday. At this price I want to feel confident, I could take on any road conditions or adventures I chose even the unexpected ones. On numerous occasions, mainly 4WD drivers, in British countryside driven by both men and women are very unaccommodating when I turn up in narrow locations. One driver yelling at me, this car didn’t belong in such locations. I kindly reminded him, it belonged anywhere I chose to drive it. The braking technology was well tested here and brilliant, like a wild stallion coming to a quick halt. Every single time, with my pleasant and friendly nature, it was like parting the red sea. They graciously had to move out of the way, and noticeably with envy looked at the sequin blue Bentley GT. 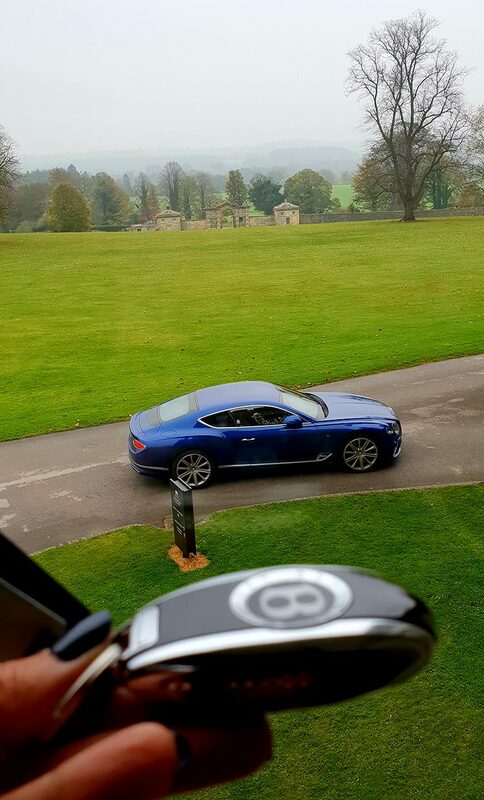 Yes, it belongs anywhere and everywhere and in the finest of settings where I embraced nature and was able to hear, smell and connect with the Bentley GT Continental Grand Tourer. For me it truly looks stunning in any rural location. 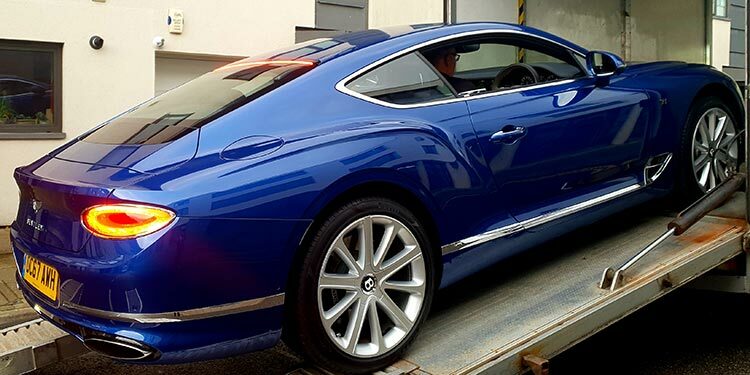 This Bentley GT, was about unveiling a very special partnership with me. 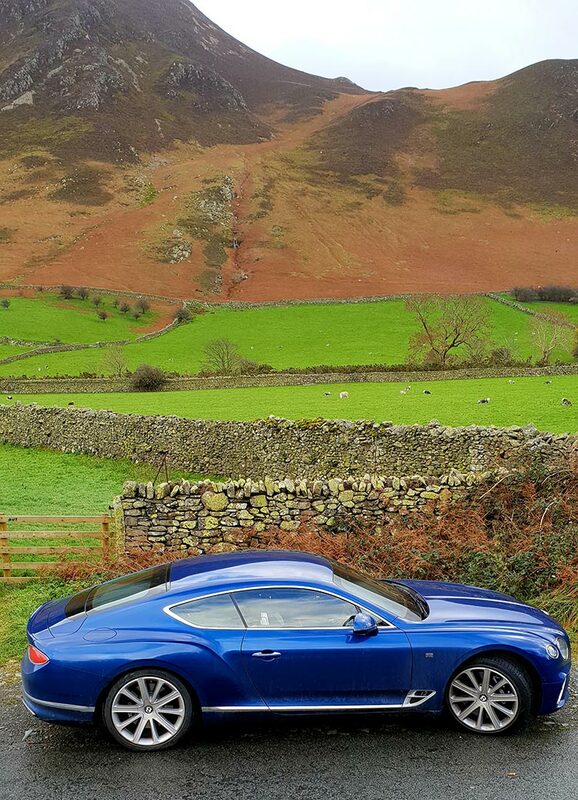 A partnership celebrating the Bentley brand in modern challenges on the roads of the Lake District, Yorkshire Dales encountering very narrow roads. Equally diverse is to be able to be on an adventure, and be invited at a private membership club such as Phyllis Court Club. 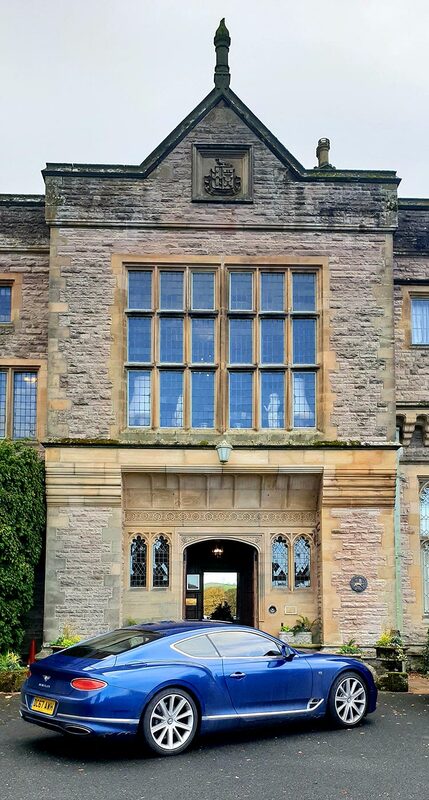 This club is situated in a historical manor which dates back to 1301, at Henley on Thames. I was trying to break the stereotypical label’s that only a man can drive to a private club in a sporty Bentley GT Continental Grand Tourer. There were plenty of men showcasing their exclusive luxury cars here, until I turned up. Their reactions, were priceless and that’s what I adore when driving a Bentley. 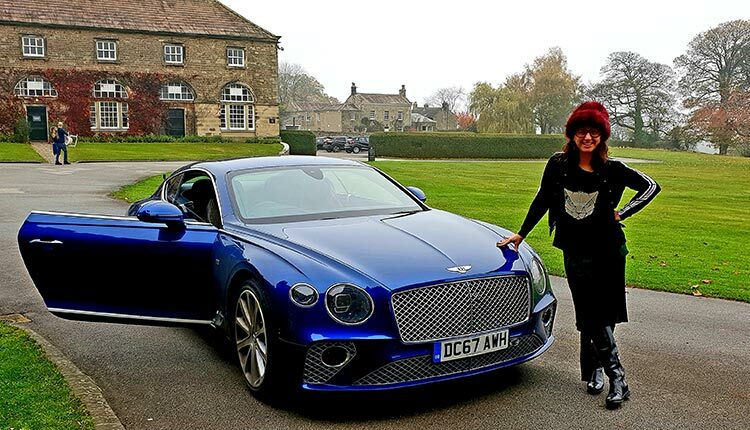 This new partnership between me and my Bentley GT, was a culinary experience’s of tapping into my five sense, reminding me that people were admiring the car, like my favourite horse flying over the final fence towards the finish line. 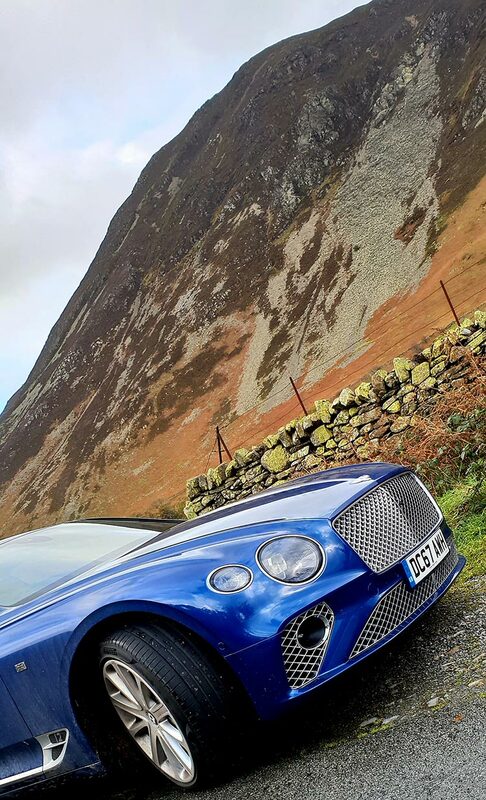 As I slowly drove the Bentley GT with a completely new 6.0 litre, twin-turbocharged W12 engine, a step-change in technology, I decided to test the paddling endlessly up to the Lake District. Brilliant new location now on the steering wheel, easy to find and feels wonderful on my fingers too. For the first time, I had numerous hours to feel and touch the finest of the Bentley materials that is like no other car in the world. I could not get enough of the striking range of hides and interior colour splits and to be reminded of the hand-cut and hand-stitched in grade-A leather hides, every time I drove it. For me, only the finest things in life will do. I drove for hours so having to play with many comfort seat specification, using the adds electrically adjustable headrests and bolsters, alongside ventilation and multiple massage modes, is why I never had an aching back or wanted to stop for a break for too long. The comfort of driving this car is amazing it was the fastest, longest wellness experience, literally on wheels. The sensation was like, the very best of racing and driving can offer. 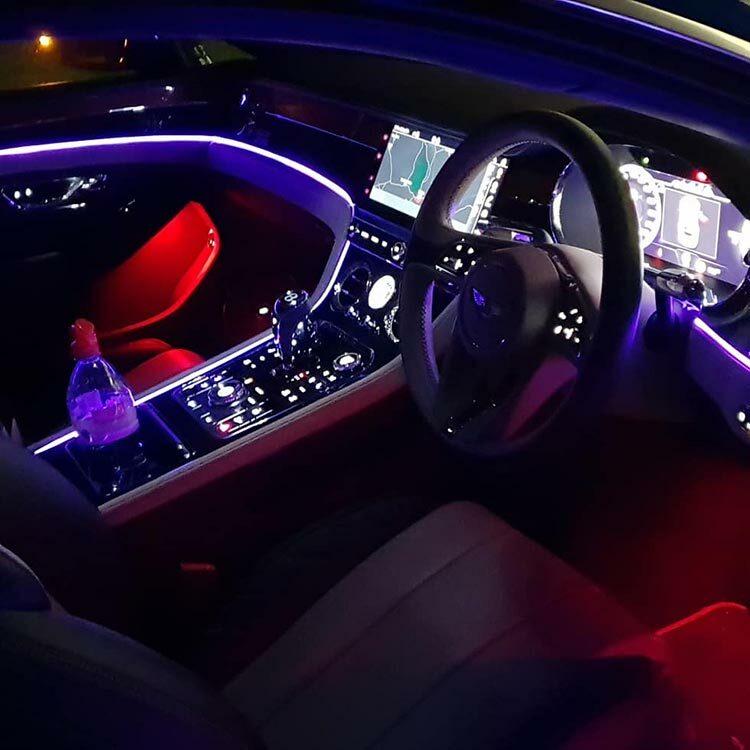 The technology available, for me to read my road conditions to make my long drive as comfortable and precise as possible, is why it is the most most comfortable Grand Tour luxury car on the market. Everything regarding leather, steel and wooden veneer here is so laid on, you don’t want for anything. On average I drove 5 hours a day, the British weather was very unkind to me this week, but in a Bentley GT I never tired! Visually from every angle the interior design looked amazing both day and night. The iconic Bentley design for the interior is inspired by its logo, the bird wings. On this occasion, it reminded me of my two owls piercing eyes, never having enough time to tire, never knowing what to expect. Like these aggressive natured birds of prey, ready to spread their wings. I was in constant awe of the interior, it was stunning in any setting. The cross stitching, roughly 360,000 elements of it was like a fashion designers, handcrafted bespoke suit. 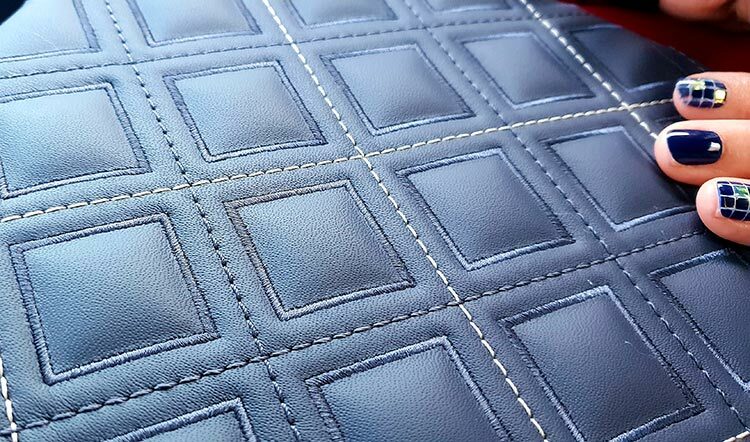 The attention to detail and its imperfections is British manufacturing at its best. In addition to the dual veneer options, Bentley has introduced a new, contemporary finish: Koa veneer. Noted for its elegant tones and straight grain, it has long been used in its native Hawaii in the construction of surfboards and guitars. 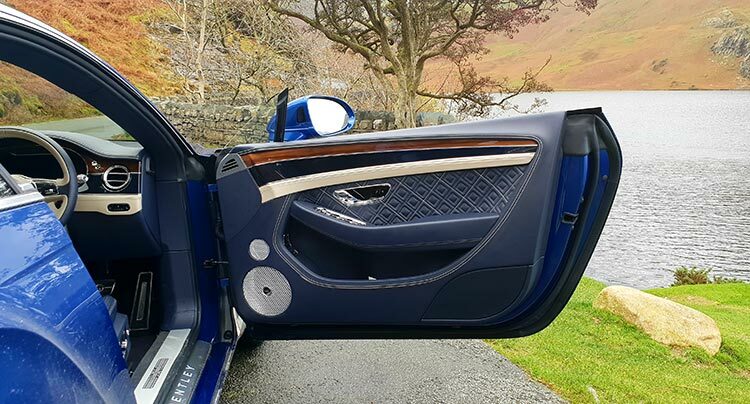 The walnut veneers, plus embroidered Bentley emblems on the seats, as well as diamond-in-diamond quilting to seats, door casings and rear quarters, looked stunning. When it comes to music, I always want the best or an upgrade. Naim for Bentley represents the ultimate in-car audio choice: a 2,200-Watt, 18 speaker system with two shakers, a 20-channel amplifier, eight DSP modes and active bass. For true audiophiles, there is no equal, I played many different genres of music such as rap, rock, hard rock, classical, and the speakers and sound were pristine and precise. I have never laughed and sang so much in years, I actually ended up with a not welcoming sore throat. 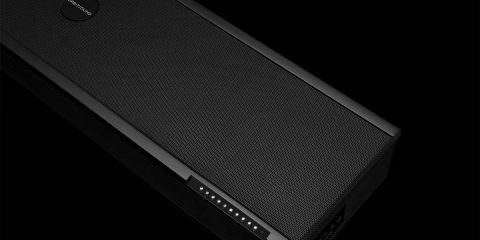 With four distinct DSP modes it is the first automotive application of the company’s BeoSonic control system and the perfect choice for design lovers that appreciate excellent sound. Regarding the new design, it is the sharp, crisp feature lines of the new Continental GT that show the influence of the original Bentley R-Type Continental. I loved peering in my review mirror when driving at the muscular haunch line. It exudes a sense of refined power, while the power line now emerges from between the headlamps, tracing a path down the side of the car. Celebrating the redefined exterior of the Bentley GT, was truly realised when I placed the Bentley GT in different rural countryside settings. As I drove all eyes began to peer at me, even the local British wild life. The new exterior is made of aluminium using technology called Body Formed. Making the car a lot lighter for faster performance. This is an ultimate test of courage for Bentley to create. It truly picked up the winner here, regarding exclusive driving comfort. The sensation is notable and redefining in road comfort. I couldn’t get enough of this everywhere I drove, how it works is very simple. The new Continental GT reduces body roll with Bentley Dynamic Ride, an innovative 48V Electronic Active Roll Control system. As the car enters a corner, it engages automatically, continuously adjusting the anti-roll bars. On rougher road surfaces, it constantly monitors the suspension settings and adapts accordingly, for a luxurious, smooth ride. I could feel this working all the time, the sensation at first is the most elite experience regarding car technology. New three-chamber air suspension gives the car more scope for adjustment, which improves both dynamic handling and ride comfort. Every time I stopped I could hear the air suspension again, reminding me of the new driving technology for Bentley. Continuous Damping Control regulated the damper setting as I drove, when I was coming up to road works this is where I could feel the four ride height sensors constantly measuring the distance between the axle and the body, making adjustments as necessary. An unbelievable experience. Regarding exclusivity and a posh factor the Bentley Rotating Display ticks all the boxes. It was for me James Bond in the making! Every time I started up the engine, I was reminded that I was in the world of Bentley! 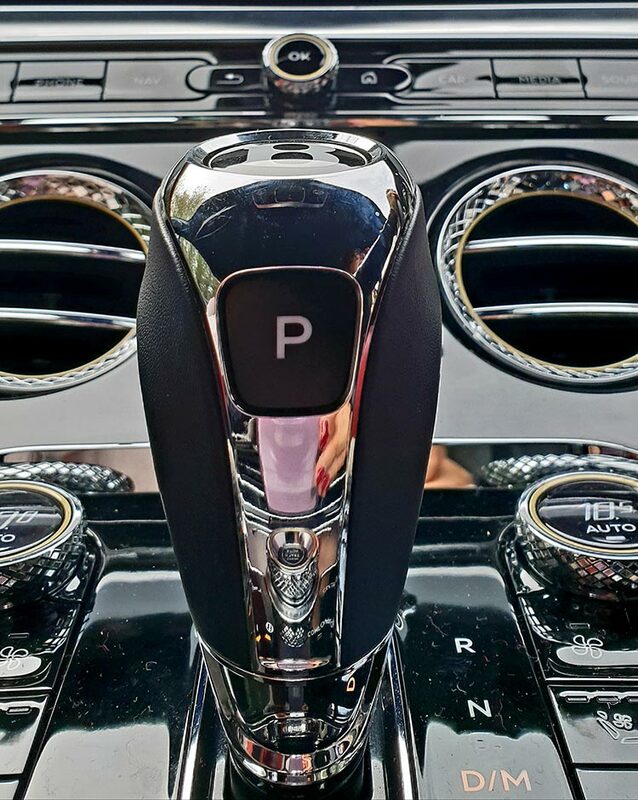 Sitting in the centre of the fascia, the optional Bentley Rotating Display allowed me to tailor the car’s instrumentation according to my mood. When the engine roars into life, a flat, veneered section of the fascia physically rotates to reveal the 12.3” high-resolution touchscreen. Excellent for me as I was driving in parts of Britain I had never been before. I had to depend on this GPS and never once got lost. Its precision was spot on every single time. This is a very first for me in car history, to not got lost. Whenever I reached towards the screen, a proximity sensor detected my approaching hand and highlights controls that may be useful. Below the screen, meanwhile, a satin bar offered a place to rest my finger during operation. Once on route I chose the classic instrument style, a further rotation reveals another veneered panel, this one with three analogue dials: a compass, a temperature gauge and a chronograph timer. Beautiful to look at, wonderful to feel! A final, reverse rotation takes place when the engine is turned off, restoring the display to its original, veneer-only position, for an uninterrupted flow of wood, right across the fascia. On some days, the weather was so bad visibility was to a bare minimum. For me,the lane assist feature provided gentle steering assistance if it detects any drift across lane boundaries. This happened especially when trucks were along side me and the water on the roads were spraying, making it hard for me to see. Driving long distances my concentration could and would waver and that’s when my relationship grew with the Blind Spot Assist. It monitors the area around the car, flashing lights in the door mirrors, if I attempted to cross the path of another vehicle. Another feature, is my favourite part of tech, Head-Up Display that displayed my important driver information on the windscreen itself, including my speed, the speed limit and directions from the navigation system. I drove a lot at night I have to say I normally don’t like to do so. 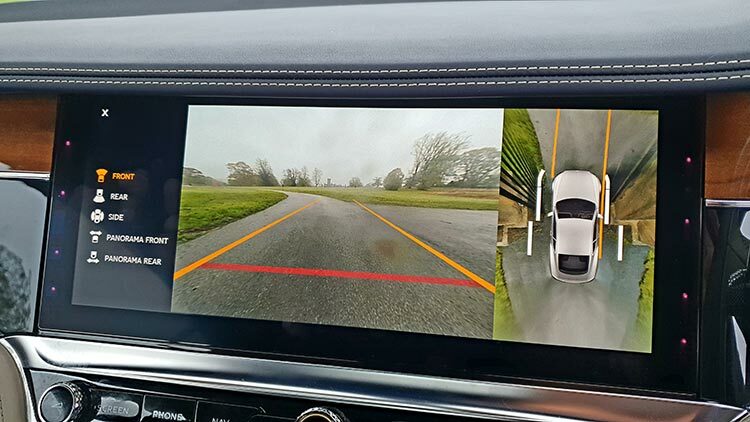 But the new Continental GT’s Night Vision camera monitors the road up to 300m ahead. Driving in the remote areas of the Yorkshire Dales is where it was put to the test, making driving in poorly lit environments much safer. 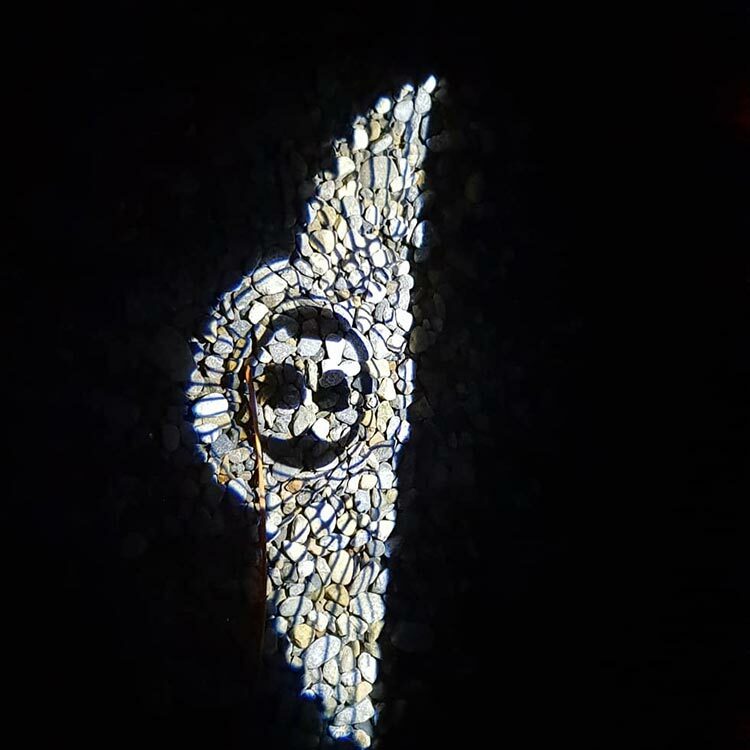 It is literally lights up the road for miles. Driving in the countryside there are many moving obstacles such as large animals, so the technology detecting and highlighting these creatures, is happening in the central touchscreen. It gave me the confidence to drive at night. This gate was narrow, so to have this view to see how close I had was technology at its finest. At night the Interior was just amazing. Over the last two months I have driven over 23 luxury cars all over Britain. As the automobile industry faces their biggest challenges ever since it’s Henry Ford days, I am referring to electric cars. 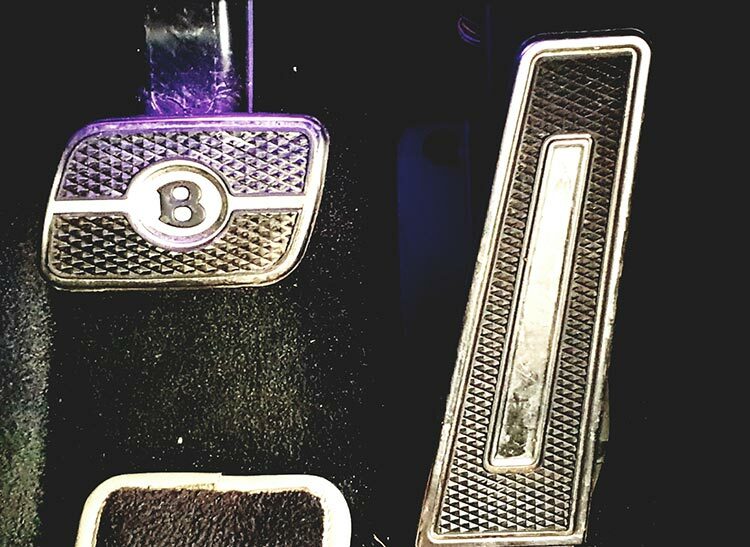 How do luxury brands such has Bentley, reinvent themselves? 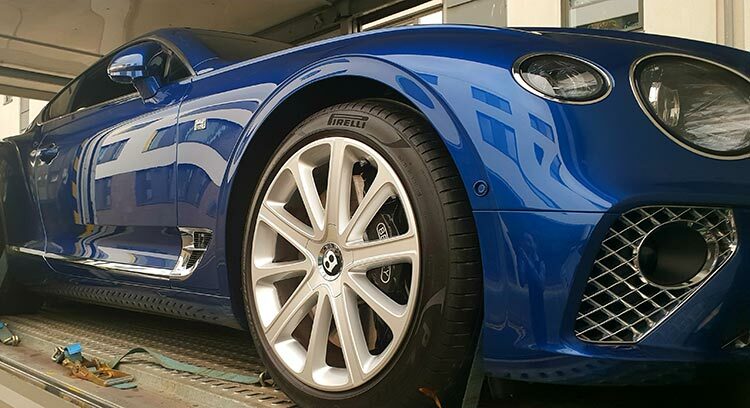 I love my engines and their roaring sounds, the New Bentley GT Continental, has confirmed that by activating stimulating my fives senses, this car is a celebration of driving. If I was recreated in a car form, the Bentley GT Continental Grand Tourer is what I would choose to look like. 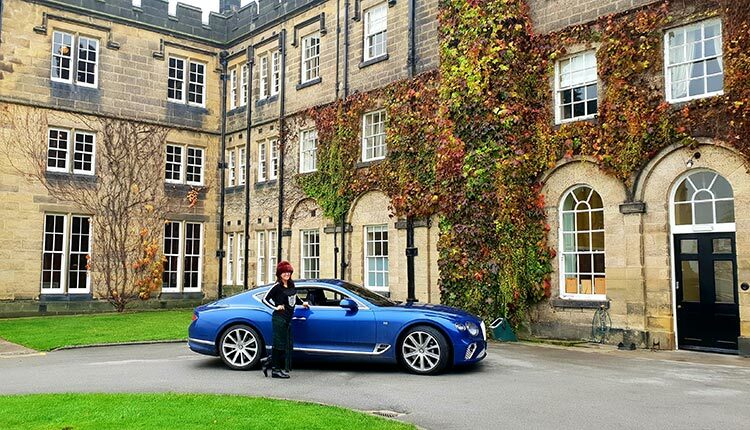 This week I set out to redefine from a female perspective, what is the world of Bentley? It is a brand of exclusivity, a luxury car that is not owned or sought after from the masses. It is for this reason, I was exclusive, powerful and just like an Owl, and unpredictable creature with an aggressive nature, growing old graciously.